This website presents the work of Paolo Dell’Elce through a selection of textual and visual material, which provides an insight into the process and research leading to the definition of his design. Introducing Plié, a new family of lamps designed for Il Fanale. City Icons, a collection of contemporary souvenir designed for Palomar, has been included in the collection of Design Museum Holon, Israel. Our new Duomo mirror designed for Lexon requires physical interaction to disclose an unexpected feature. 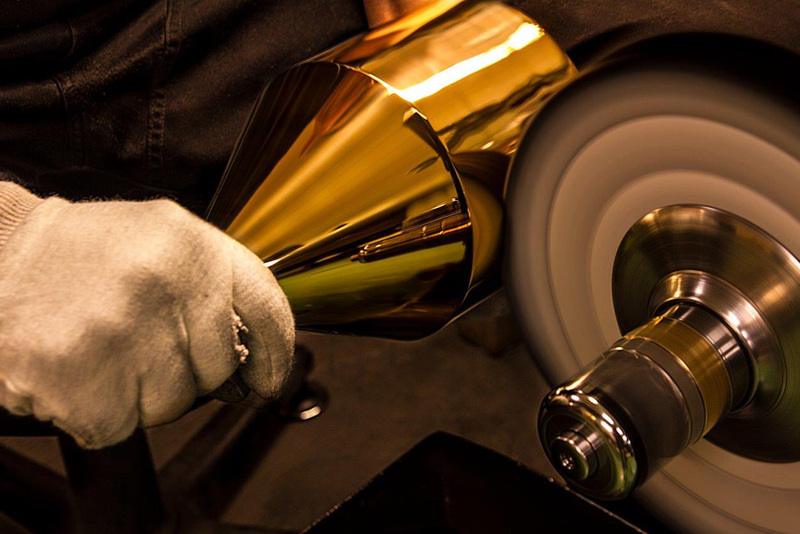 Brass polishing at Skultuna factory is an ongoing tradition that dates back four centuries. Bumblebee magazine holder for Danese, spot at ALLA CARTA magazine office, Milano. 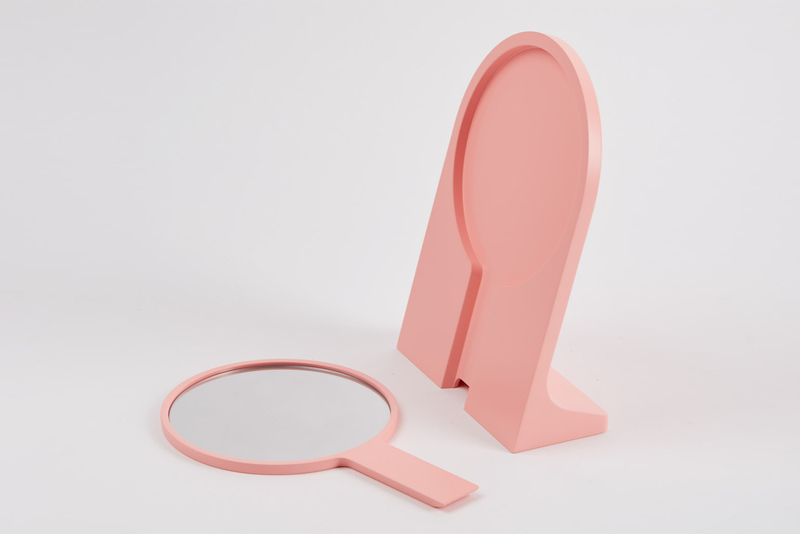 A table mirror with a cosy and familiar appearance, made of two injection molded melamine parts, kept together by means of magnets. This product requires physical interaction in order to be fully understood and to disclose an unexpected feature: the mirror can be separated from the support and carried elsewhere, acquiring a new function. It is a project conceived to enhance ones engagements with everyday objects and to stimulate senses and curiosity. 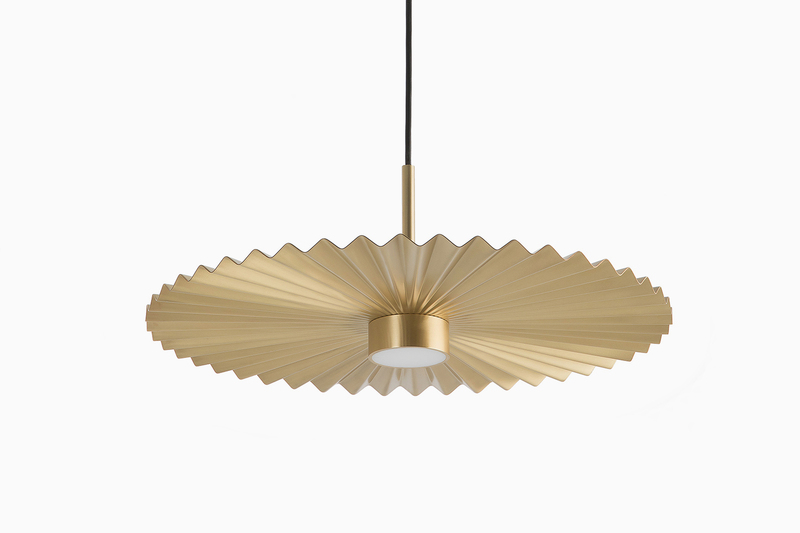 Copernico is a family of lighting devices obtained from a single laser-cut sheet of aluminium. The articulation with copper contacts allows the electricity to pass through the concentric ellipses that form the structure, and enables these to be rotated independently over 360°. The mobility of the elements and the low-voltage LED allow users to configure the light in space by clasping and moving the object, modulating the emission according to their needs. In collaboration with Carlotta de Bevilacqua. 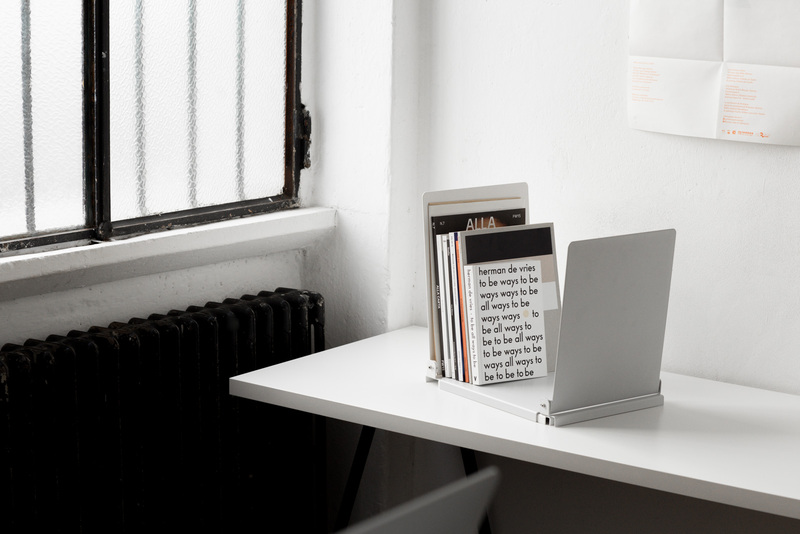 Bumblebee is an adaptable magazine holder that meets modern requirements concerning space related issues. According to the number of magazines to hold, the object develops its shape. Paolo Dell’Elce (1983) is an Industrial designer based in Milano, Italy specialized in furniture, lighting and product design. He studied design at Politecnico di Milano (IT) and at the Oslo school of Architecture and Design (NO). From 2011 to 2014 he has been Design Director of historic Italian company Danese Milano. From 2015 he leads the Furniture design team at David Chipperfield Architects, becoming Associate of the firm in 2018. Our design practice develops innovative solutions for contemporary living, which are free from unnecessary and aims to stimulate active participation of the user, while offering to our clients a competitive advantage in the marketplace. We are more interested in the familiar than in the striking new and all our objects are conceived to openly declare their function in a way that is uncomplicated and easy to understand. Together with the support of a network of local specialists, we are able to oversee our projects from concept to product development and manufacturing. Clients of the office, among others, include Artemide (IT), Humanscale (USA), Zero Lighting (SE).